FSC is an internationally recognised, independent third party certification system. Under the rules that govern FSC, certificates are only granted for five years. While there are surveillance audits every year, every five years a certified member has to undergo a full certification reassessment for conformance with all the 10 principles and 70 criteria for FSC certification. PF Olsen currently run New Zealand’s only FSC Group Scheme, a special structure whereby FSC can be made more cost efficient for forest owners in the group scheme by sharing some of the costs involved. This presents some real advantages to forest owners but also some unique challenges with a wide range of forests and forest ecosystems included within the Group’s portfolio says Kit Richards, PF Olsen’s Environmental and FSC Group Manager. PF Olsen Ltd was an early adopter of the FSC scheme and has been an active participant for 15 years – now heading for 20 with this recertification. This is a significant milestone we should all celebrate says Kit. As part of the overall governance of the FSC internationally, a General Assembly is held every few years, attended by FSC members from all over the world representing economic, social and environmental interests. At the General Assemblies, which are run almost like a United Nations for Forestry, changes to rules, policies and strategy are promoted, contested and adopted. 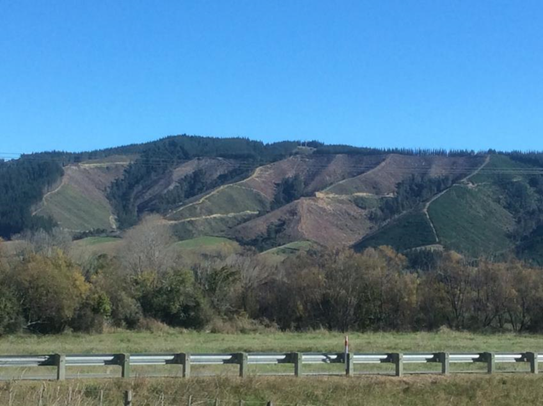 This year the General Assembly is to be held in Vancouver, Canada and Kit is to attend along with three to four other New Zealand industry participants in order to ensure that the views of New Zealand’s plantation forest growing industry are represented.